New Electrical Engineering building after construction, circa 1926. Note the towers which held the WBAA antenna. The studio was located on the top floor just to the right of the main entrance. Electrical Engineering building from the rear. 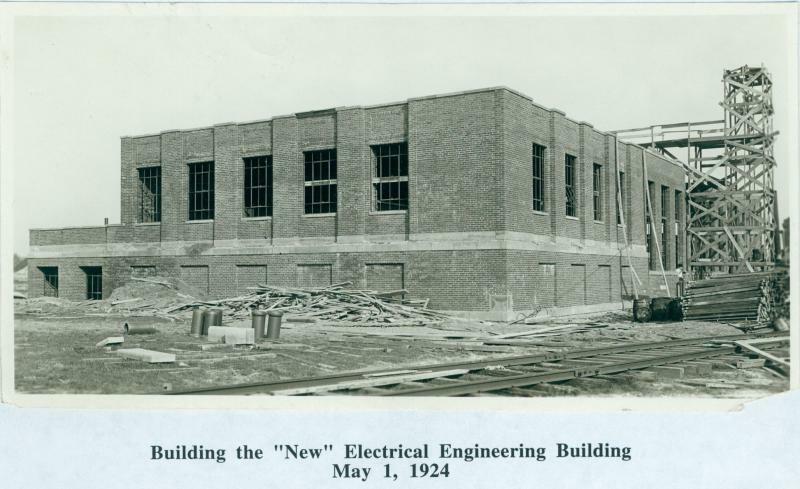 A wing was added to the building at a later date. WBAA is broadcasting at 1100 kHz with a power of 500 watts. 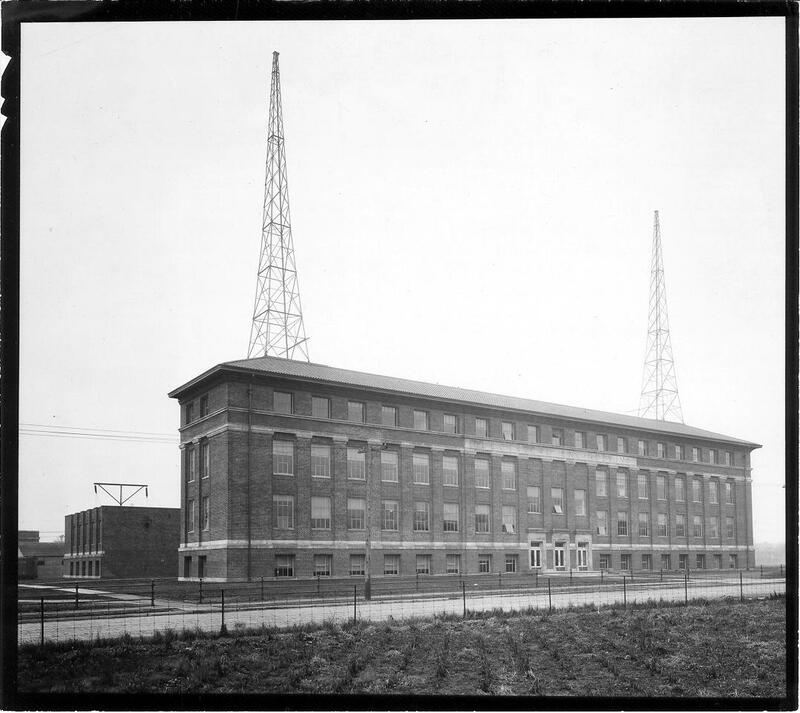 The Federal Radio commission notified the station that effective November 11, 1928, WBAA would move to 1400 kHz. 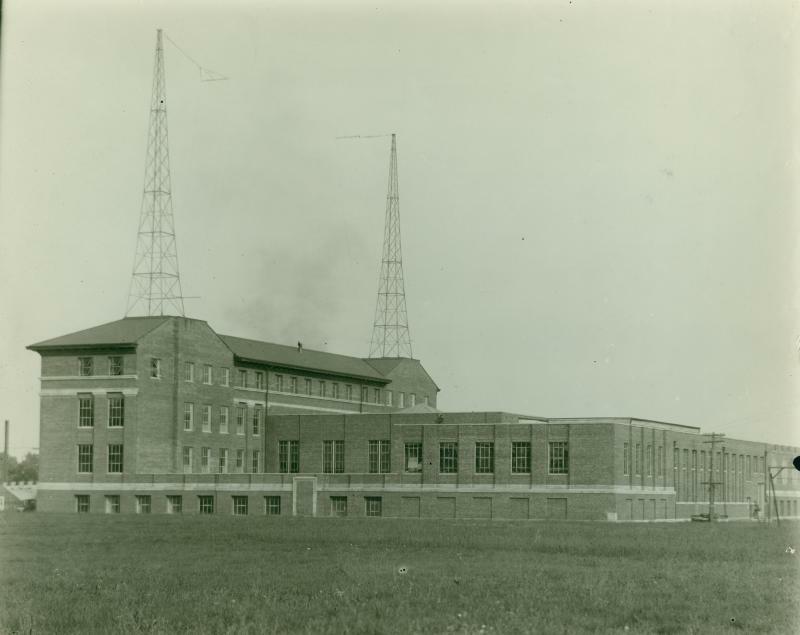 The station would share time on the same frequency with WKBF, Indianapolis, and WCMA, Culver, Indiana, both broadcasting with 500 watts...WBAA getting one-seventh of the time, WCMA two-sevenths, and WKBF four-sevenths. By now WBAA is in the new EE Building.